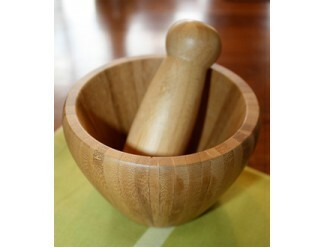 Mortar & Pestle: Made from 100% bamboo. The deep bowl makes it perfect for cracking pepper or other spices. 3" tall. 4.5" diameter. Regularly $10.00. Now just $6.00!